Ann Chih Lin is Associate Professor of Public Policy in the Gerald R. Ford School of Public Policy at the University of Michigan, Ann Arbor. She received her Ph.D. in political science from the University of Chicago in 1994 and was the 1992-93 Robert W. Hartley Fellow in Governmental Studies at The Brookings Institution in Washington, D.C. Prior to receiving her Ph.D., Dr. Lin was a social worker at Covenant House in New York City, and a member of the Covenant House Faith Community. At Michigan, Dr. Lin teaches courses on public policy implementation, gender and politics, qualitative research methods, and immigration. Dr. Lin studies policy implementation: the provisions that make policy easy or difficult to implement, the beliefs and behavior of people who implement policies, and the reactions of those who are targeted by policy. She is currently studying potential immigration policies, such as guestworker programs and legalization, and the political beliefs of American immigrants, with a specific focus on Arab Americans. (See "Recent Publications"). She retains a strong interest in anti-poverty policies (co-editor, with David R. Harris, The Colors of Poverty: Why Racial and Ethnic Disparities Exist, 2008; co-editor, with Sheldon Danziger, of Coping with Poverty: The Social Contexts of Neighborhood, Work, and Family in the African-American Community, 2000). Her past research includes prison rehabilitation (Reform in the Making: The Implementation of Social Policy in Prison, 2000), and she stays involved with this issue as a member of the Community Corrections Advisory Board of Washtenaw County, Michigan. 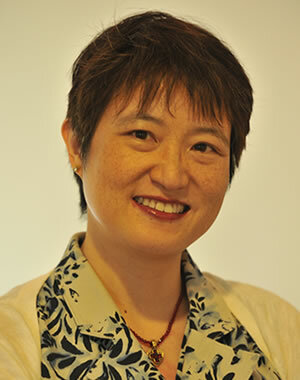 Dr. Lin has been committed to public policy involvement throughout her career. In 1991, she worked as a consultant to the ACLU on Freeman v. Pitts, a landmark desegregation case from DeKalb County, Georgia. Freeman v. Pitts considered whether desegregation plans are required to adjust for demographic changes caused by suburbanization and white flight into a school district. Under the direction of Prof. Gary Orfield, Lin organized a successful effort to gain national support for a social science statement on the long-term effects of desegregation, a statement that was quoted by the Supreme Court in its eventual decision. Dr. Lin also designed an innovative set of outreach efforts for the Detroit Arab American Study, to assist community organizations in thinking about ways to use the data from the survey and to provide usable analyses for them. Co-Principal Investigator, Detroit Arab American Study Co-director, with David Harris, "The Colors of Poverty: Why Racial and Ethnic Disparities Persist"
Citizenship in Crisis: Arab Detroit After 9/11. Co-authored with Wayne Baker, Sarah Howell, Amaney Jamal, Andrew Shryock, Ronald Stockton, and Mark Tessler. Russell Sage Foundation, 2009; The Colors of Poverty: Why Racial and Ethnic Disparities Persist. Co-edited with David R. Harris. Russell Sage Foundation, 2008; "Muslim, Arab, and American: The Adaptation of Muslim Arab Immigrants to American Society." In Immigration and Religion in America: Comparative and Historical Perspectives. Edited by Richard Alba, Albert Raboteau and Josh DeWind. New York University Press, 2008; "Networks, Gender, and the Use of State Authority: Evidence from a Study of Arab Immigrants in Detroit" in The Social Logic of Politics: Family, Friends, Neighbors, and Workmates as Contexts for Political Behavior. Alan S. Zuckerman, ed. Temple University Press, 2004. Topics: Civil Rights Policy in the U.S. Welcome Charlotte Cavaille to the Ford School family! Yang and Mahajan in The Conversation, "Hurricanes drive immigration to the U.S. "